I am member of the co-production group which is made up of a wide range of people with Long Term Conditions(LTCS) and carers of people who have LTCs. The main assets of the group, who all have many skills and expertise, is the passion each individual has to make a difference in health and social care which is the reason that drives me. I learn something new from each individual every time we meet or work together but must say that I have benefitted the most from Shahana’s lead, direction and diplomacy. 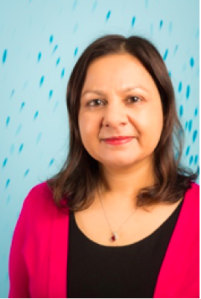 Thank you Shahana- it is a pleasure to re-blog your piece on co-production here. By Christine Morgan in Health on October 14, 2015 .